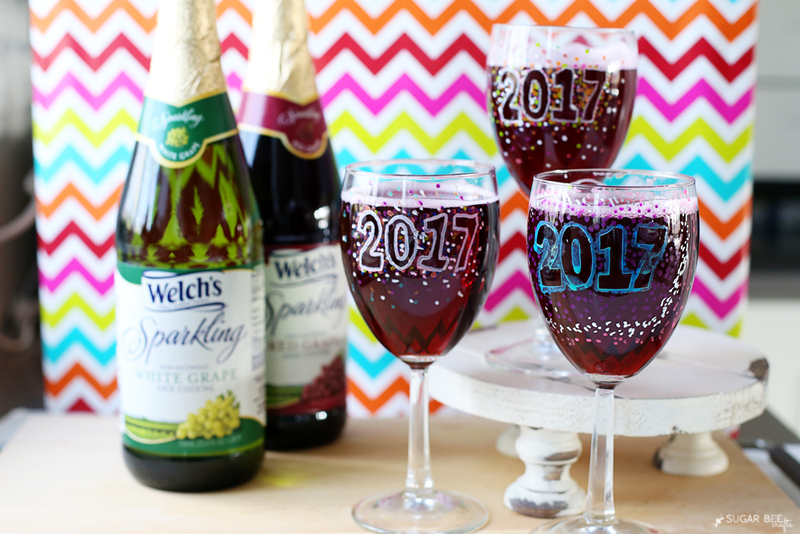 I know it’s still the holidays, but I want to get some New Year’s ideas out there for you! 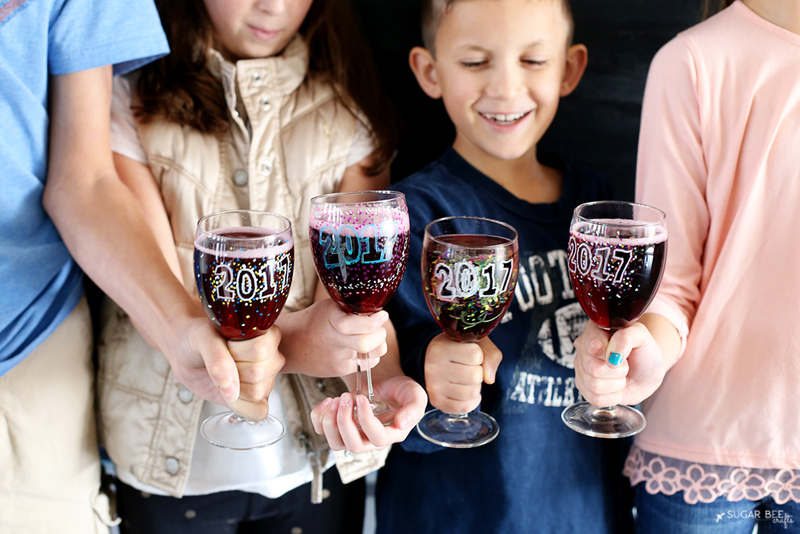 And these DIY New Year’s Wine Glasses are a fun one. 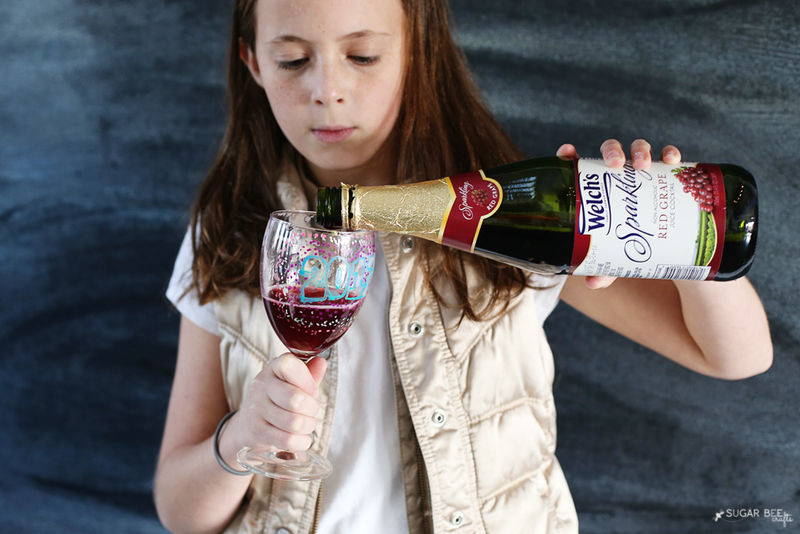 I know you’re first thought is wait, they don’t drink… and we don’t… but with the fun of New Year’s Eve we love to get Welch’s Non-Alcoholic Sparkling – the kids love it as well! 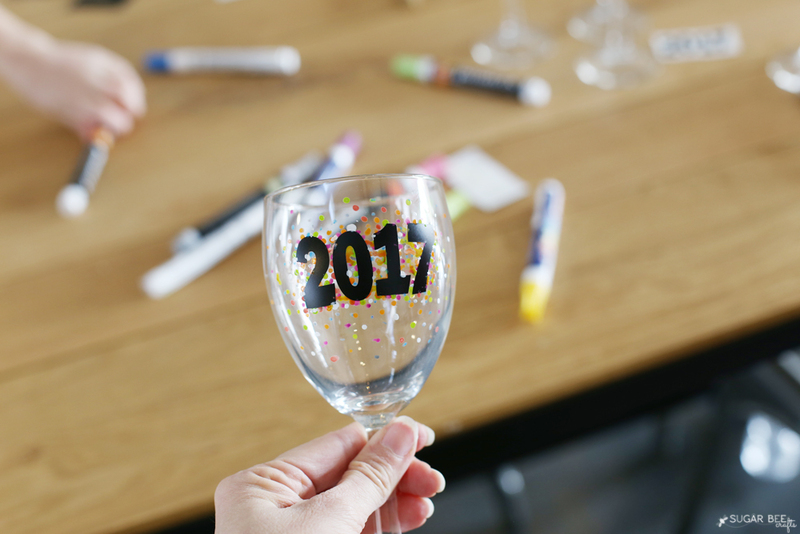 And so I thought it would be fun to do a craft idea using Elmer’s Painters that kiddos could participate in, DIY New Year’s Wine Glasses. #BringTheSparkle this holiday season! 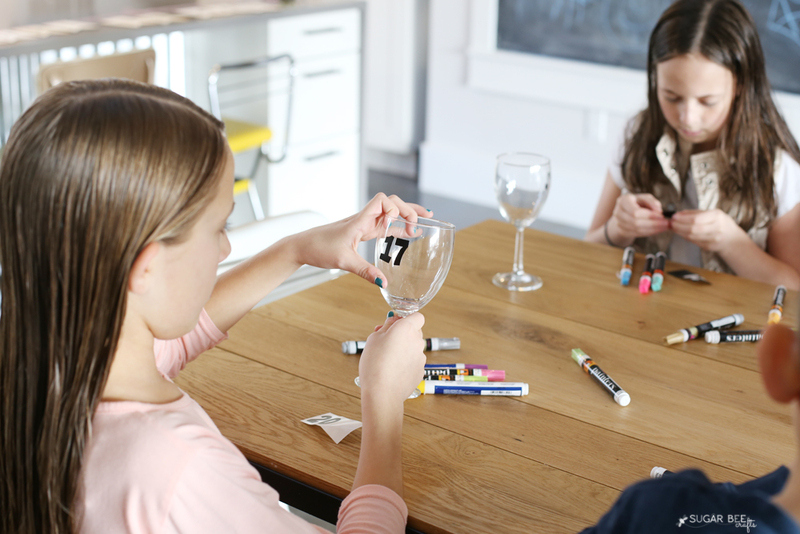 My kids range in ages 8-14, and all of them really had fun decorating glasses. And so did I actually! 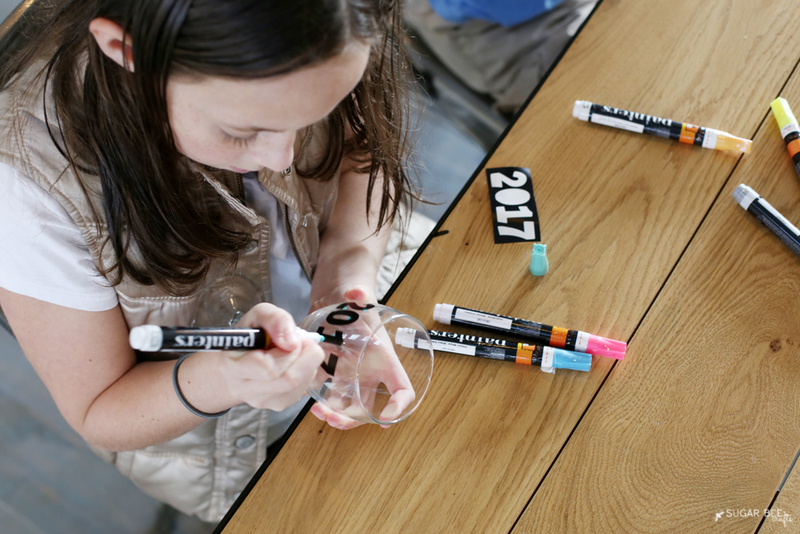 So this is a great project for all ages! 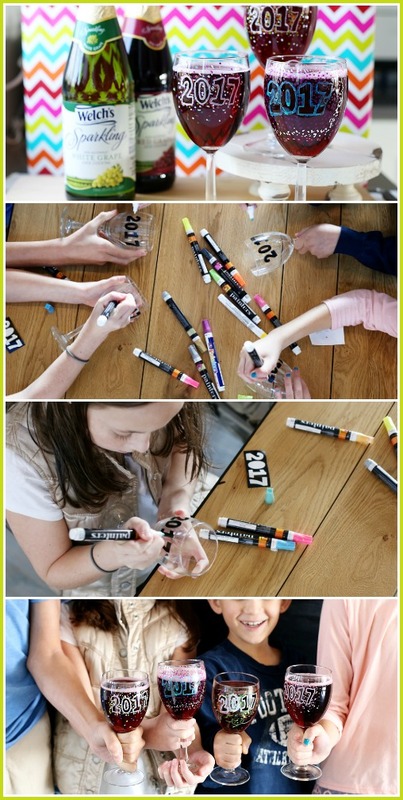 —Elmer’s Painters paint markers – I love that these are so easy to use!! 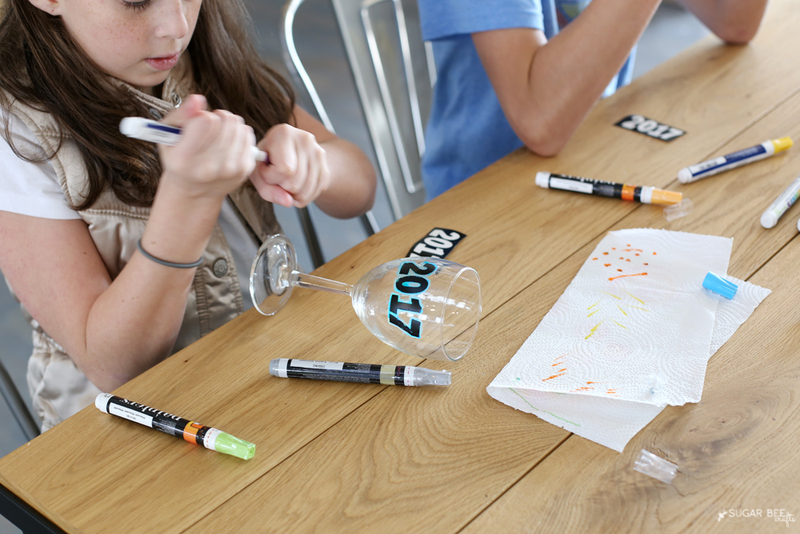 First up, adhere the stickers to the glass. 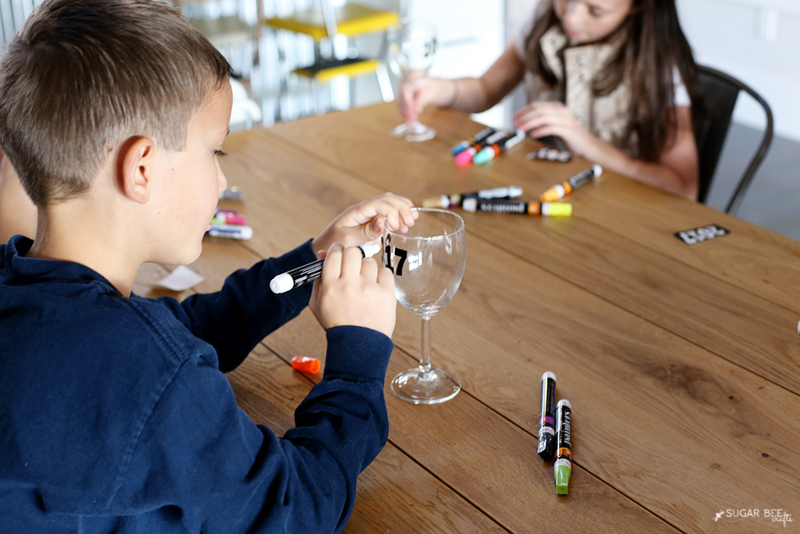 Once they’re on, you can start decorating your glass around them with the Painters. We used lots of dots. Be sure to cover the edges of the stickers. 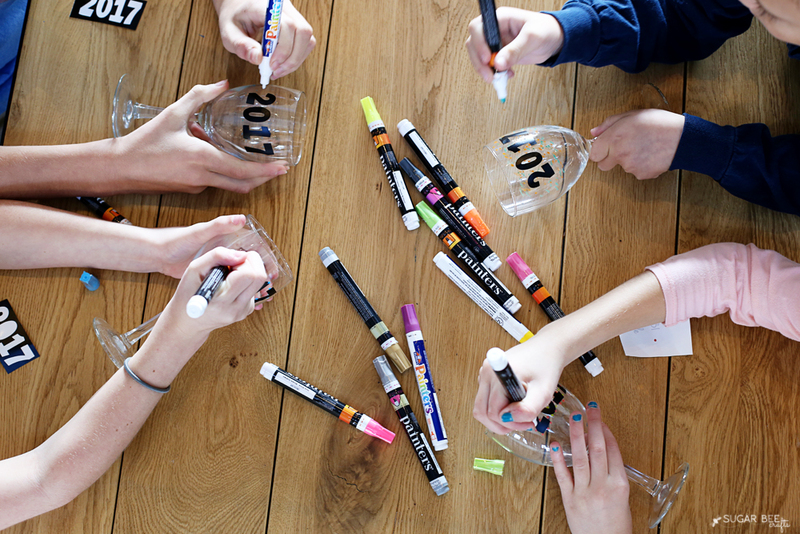 Keep going – lots of different colors make it fun! If you want, you can outline the numbers as well. Once it’s nice and covered like below, and the paint is dry, it’s time to pull off the stickers. 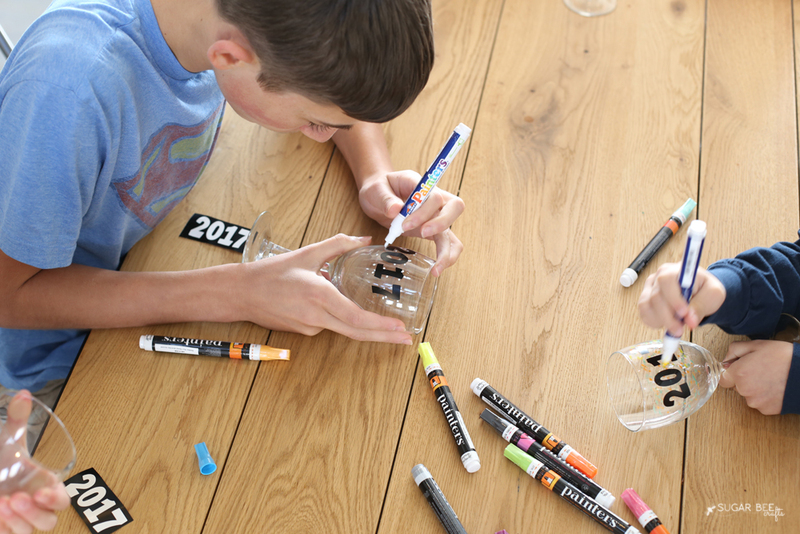 Once the stickers were removed, we ended up tracing on an outline of the numbers to make them a little more defined. 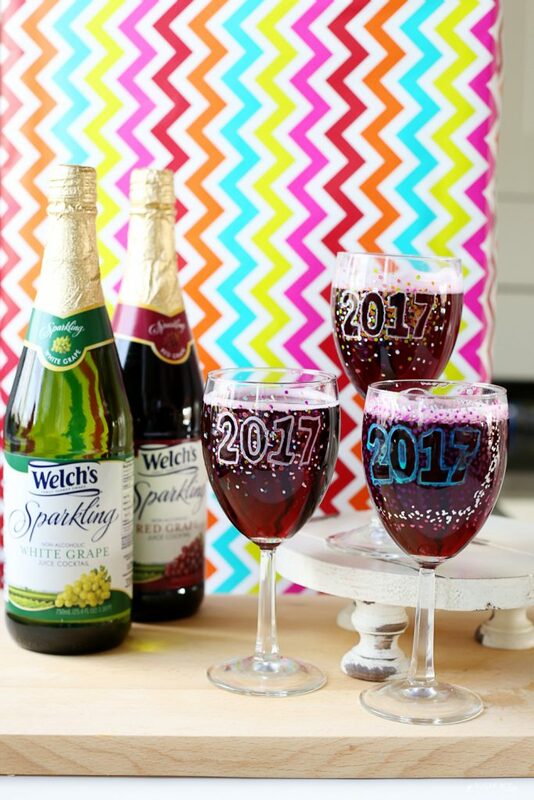 Aren’t these the funnest, and perfect for a New Year’s party? 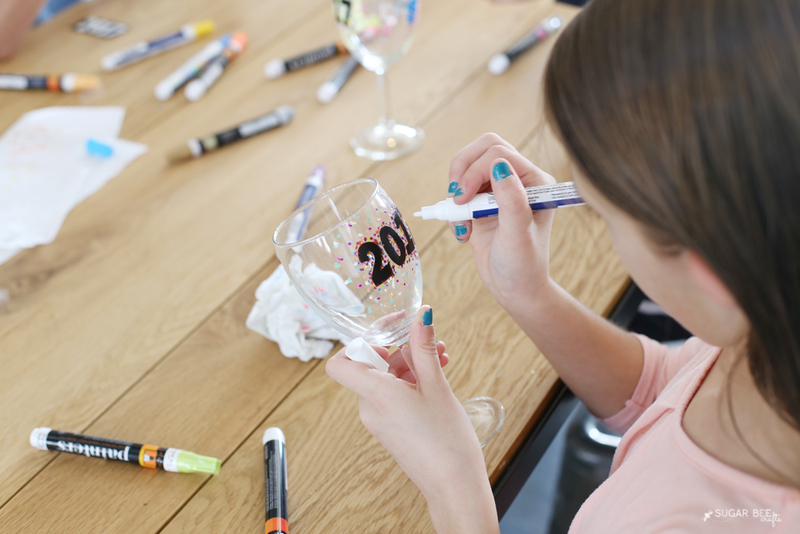 Early in the evening do the craft and then they’ll be ready when it’s time to celebrate the new year! 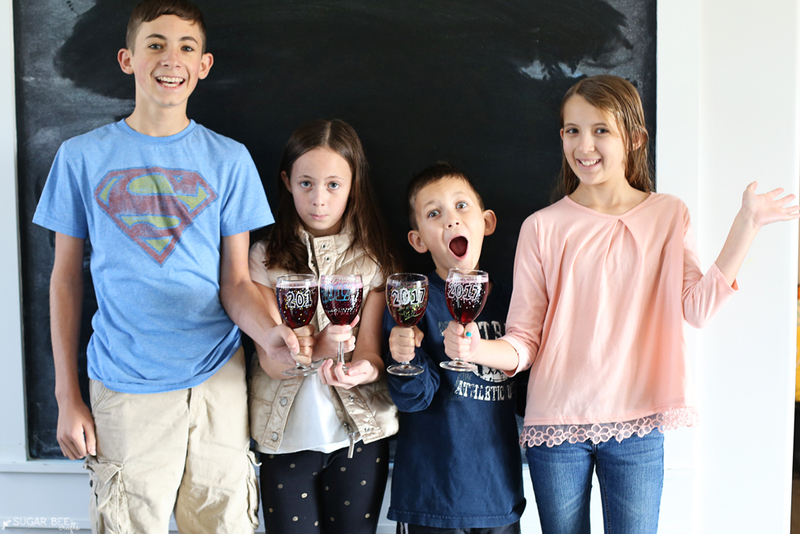 Welch’s believes in the magic of family moments — and we’ve been helping families enjoy them for generations. It?s why we make delicious juices, jellies and jams, meant for sharing. Because every time you share a glass of juice or enjoy a sandwich, you share a special moment — whether it’s at home or on the go. 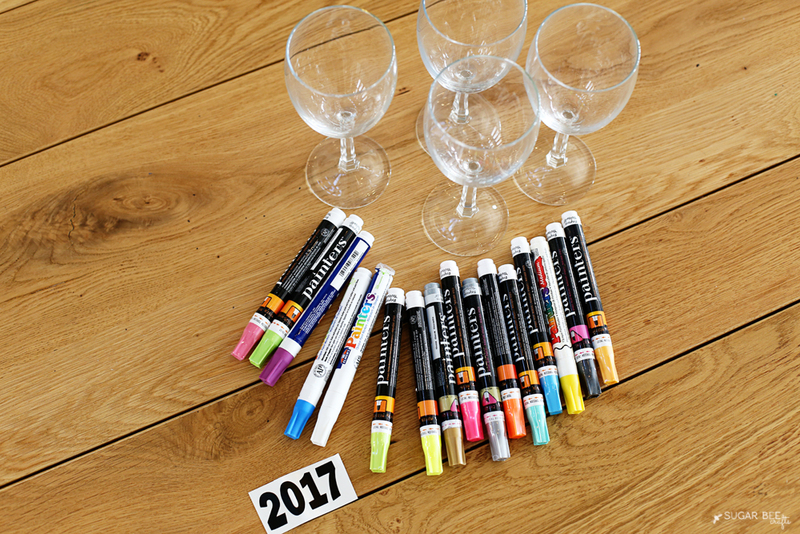 That makes it perfect for a New Year’s Party with family!